I run my own business and I purposely set it up so that I can run it from anywhere. Sometimes, I’m sitting in my own office with my external 27 inch external monitor in my home in Denver, Colorado. Sometimes, I am in an Airbnb in Brooklyn, or a coffee shop in some city in the world. Over the last couple of years, I’ve worked from nine different countries, innumerable coffee shops, a couple coworking spaces, a few friends’ offices and I’ve managed to grow my business handily from nothing to about half a million dollars a year in revenue. The trick is staying productive when you’re traveling, which can be really tough to do. If you’re overseas you might run into dodgy Wi-Fi connections and the time zones are going to be tough. So, how can you make all this work for your business that you can stay productive, you can work from anywhere you want to and at the same time keep running your business? I have four tips for entrepreneurs who are working from coffee shops, ways to stay productive. If you’re working from coffee shops in your own city, the best thing to do is to find a coffee shop that you know has great Wi-Fi, is going to have available seating, and ideally has an electrical connection so you can plug in your laptop. The first trick is to fully charge up all of your devices before you even go. There’s nothing’s worse than arriving to a new coffee shop, arriving to a coffee shop that you’re used to going to and all of the electrical outlets are taken. Or, you have to sit in a place that is not comfortable, it’s in the way, too noisy, something like that, in order to plug in your devices. If you’re in a city for a while, spend a day when you’re not expecting to be super productive and go to different coffee shops around the area or coworking spaces or whereever and test them all out. Do they have power plugs available? All of these matter, and when you find a great spot then go back frequently. If you want to be productive, you can’t constantly be looking for new places to work from. If you’re in a new city, you of course have to find those places. So, use a tool like workfrom.co or placestowork.net to find out if the internet is fast. Number two is to optimize your time. Figure out when you’re productive in the morning or in the afternoon and what kinds of tasks you are productive doing at these times. Then, only go to places out in public where you can get the kind of work done that you’re productive doing at that time of day. For example, if you hate doing sales calls in public like me, then make sure that you’re at home or you’re at your apartment or wherever in order to do those calls if you have those scheduled for the morning, and then the afternoon, decamp to a coffee shop. Number three is to not have your calendar available to people at all times. Instead, use a tool like Calendly. I love Calendly, I’ve been a paying user for years to send people my calendar so that they can grab time that is available. One pro tip with Calendly is that you can set a buffer amount of time before which people cannot schedule a phone call. For example, if you send your calendar to them at 2 p.m. in the afternoon and you have set a buffer time of two hours, they cannot schedule a call before 4 p.m. with you. This works great when you’re out at a coffee shop and they want to have a call. They can’t schedule a call 10 minutes out and you can eliminate the scramble to get back home or to get outside or somewhere that you’re not gonna severely inconvenience those around you. 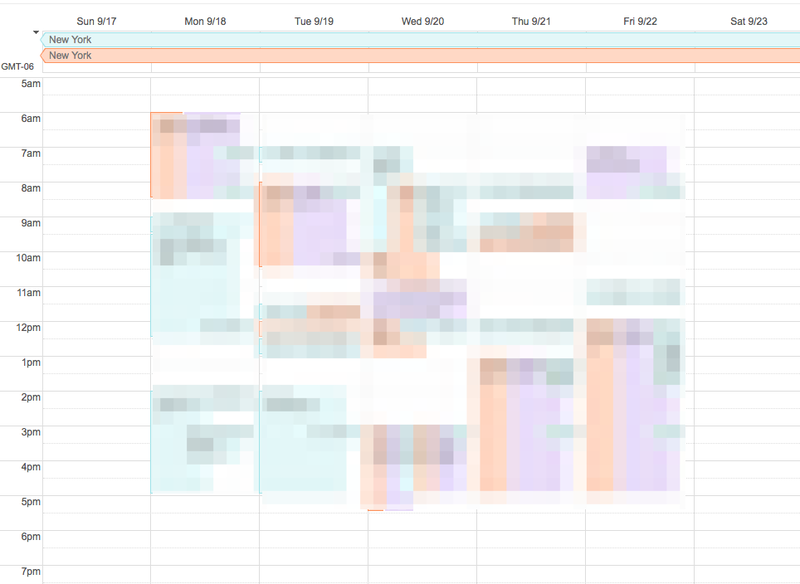 There are some others like MixMax and HubSpot’s scheduling tool that you can check out too. The tools are various and the tools don’t matter. The tools help us get things done. What matters is the strategy of not being available at all times for all people and letting other people choose when they wanna chat with you as opposed to the back and forth of email. So, this will save you time over the long run. My fourth tip for working remotely is to, from time to time, meet up with friends that are in that same city. For example, I go to Brooklyn fairly often. I used to live in Brooklyn and I have a couple of very good friends who are also entrepreneurs that live in Brooklyn, and sometimes I’ll set up coffee shop time that we go and we work beside each other but we can also chat. I think this is super important for entrepreneurs that work alone like myself where sometimes you need another person to balance ideas off of. For me, I’m fortunate in that when I go to Brooklyn, I can meet up with my friend Tom, who was my boss for a year and is one of my closest friends and who I also very much respect as a fellow entrepreneur. Sometimes I just need to bounce ideas off of them. We may be on chat all day anyways when I live in Colorado and he lives in New York, but that side by side working can really help to optimize your mindset around working remotely. So, I encourage you when you go to a new city, whether it’s going to a coworking space and finding other entrepreneurs or going to a city where your friends live and making appointed time to hang out with them, these things can keep you sane as a remote, working, traveling entrepreneur. Those are some of the things that I’ve learned over the last four years. Those are some of the things that I have learned over the last two years while traveling and working from a bunch of different countries, cities, apartments, and coffee shops. Thanks for the tips John, great article. What would you do if you were in a new town, where there is no coffee shop nearby and you have no friends there? I’d find a coworking space or meetups going on and make sure I was there. If there’s no door then look for a window. I love working from coffee shops! It really boosts my productivity and creativity. There are a few that I frequently go to. I love traveling. Working at coffee shops, hotels, by the beach or literally anywhere pretty can be very therapeutic. When you work in coffee shops for hours, do you keep buying things every hour or so? Hey Nicola, that’s a solid question. The prevailing wisdom among most remote workers is that if you are at a coffee shop, you should usually buy something every 2 hours or so. So I won’t camp out all day (8 hours), but sometimes 4. I also have a specific coffee shop in my neighborhood that I go to often, so they know me and it’s no big deal to camp out there for 4-5 hours and just buy lunch and a coffee.